College Looked Out of Reach When I Withdrew in 1948. Returning Altered the Course of My Life. John Burke and I, Class of 1948 graduates of Mt. Carmel High School, and new UCLA students, sat quietly, bewildered, on the lawn of the quad eating our brown bag lunches. Around us swirled groups of stylishly dressed, exuberant students greeting one another and sharing stories of just-ended summer vacations. John was distraught. He had received the results of the Subject A Examination, administered to determine whether he would be required to take English 28, a remedial class. John, a very good student, had failed the test; I had passed. He did not recover from his disappointment and dropped out soon afterward. My status at UCLA was precarious in a different way. Mother was the only breadwinner in the family, which included six minor children, a fact that weighed heavily on me, her eldest. Getting from south Los Angeles to Westwood and back also meant that I spent four hours every day riding streetcars and buses. To make matters worse, I was majoring in engineering and realizing that I had chosen the wrong field of study. I did not enjoy lugging surveyors’ instruments around open fields near campus or struggling with calculus. I dropped out on December 2, 1948. The only acknowledgement of my departure came from the Army major in charge of my R.O.T.C. unit when I turned in my uniform and rifle. Why, he asked, was I withdrawing? “Family financial difficulties,” I answered. He gave me a sympathetic look of disappointment. How did I react to dropping out? I felt only a sense of relief. I gave no thought to the future. I had to attend to the present and look for work. I found a job in the mail order department at the Sears, Roebuck located at Olympic and Soto. Then, encouraged by postal clerks we worked closely with, I landed a job at the U.S. Post Office at the Terminal Annex just north of Union Station. In 1951, I got drafted into the Army and took a leave of absence from the post office. My postal experience proved crucial in the Army’s assigning me to a postal unit in Alaska rather than sending me to Korea, where war was raging. Despite my initial relief over leaving school and helping my family, I’d also been unhappy about it. When I was discharged from the Army in May 1953, I applied for—and was granted—readmission to UCLA. I also returned to the post office, which allowed me as a veteran to set my own work schedule while I attended school. The G.I. Bill paid veterans a small monthly stipend but not enough to allow me to help Mother, so I decided to work while getting a university education, an arrangement that was not unique at the time. UCLA’s tuition of $75 per semester helped make our goal achievable. One difficulty was deciding on a major, and I didn’t know anyone who had attended college whom I might ask for guidance. Eventually, I wound up going in a direction I hadn’t expected. Until I was 5, I spoke only Spanish. My brother Raul was also raised speaking Spanish. (Although our U.S.-born father was bilingual, our parents spoke Spanish with one another.) But Raul was hospitalized once and unable to communicate with hospital staff. A nurse then spoke to Mother about the importance of teaching children English. After that, English predominated in our home. Only shards and fragments of Spanish remained in my head. This caused me considerable frustration, because with any attempt to speak Spanish I committed errors that made me a target of scorn and laughter among native speakers. I decided to major in Spanish. In the first few minutes of my first Spanish class Professor Donald Fogelquist called me to his desk. “What are you doing here?” he asked bluntly. His assumption was that I spoke Spanish and had enrolled in his class in quest of an easy grade. I apprised him of my situation and later took several advanced classes with him. Despite his initial brusqueness, I came to enjoy his quiet, dignified manner and dry sense of humor. In my customary seat in the back row I often struggled to contain my laughter at his witticisms. I was five years older than most of my classmates. Veterans were common in the colleges and universities of the era, and younger students referred to us as DARS—damned average raisers. We DARS were serious about our studies and willing to study hard. I had no time to waste. For the next several years I took courses on Spanish grammar, linguistics, and phonetics, and on the history, civilization, and literature of Spain, Mexico, and Latin America. In time, I recovered my first language. Seeking as broad an education as possible, I chose a social studies minor and studied psychology, anthropology, geography, history, sociology, and political science as well as mathematics and philosophy. There were times as I sat in class when I experienced a physical thrill from learning, as when professor of anthropology Joseph Birdsell lectured on DNA, still in the early stages of study. Years later, thanks to that class, I read with pleasure The Double Helix. Education does not end with the acquisition of a college degree. I got caught up in a daily routine: driving to Westwood to attend classes, parking my 1950 Ford at the corner of Sunset and Hilgard (when it rained, the dirt became mud that students maneuvered out of with the aid of wooden planks), and then, after class, following Sunset Boulevard all the way to the Terminal Annex. During weekends and holidays, particularly the Christmas season, when the mail was heavy, I often worked 10 hours or more. When final examinations began, I cut down on work and spent many hours in the bowels of the library in a cubicle designed for individual study. Fortunately, I enjoyed it. Between classes I occasionally went to the student lounge in Kirchhoff Hall to relax in its magnificent leather chairs and sofas. On the black-and-white television set there I watched Don Larsen pitch a perfect game in the World Series between the New York Yankees and the Brooklyn Dodgers. In early 1956 the department head, Dr. Anna Kraus, called me to her office to inform me that the Spanish department had chosen to submit my name to the University as its candidate to study for a year at Oxford University. I was grateful but declined the offer. I was getting married that summer. I graduated, with honors, in January 1957, after three and a half years of study and was elected to Phi Beta Kappa “in recognition of high attainments in liberal scholarship.” When I got to work that afternoon I was so elated that, losing all trace of modesty, I told everyone I ran into, whether I knew him or not, about my accomplishment. The next day I was back to normal. That month I resigned from the post office. I wound up staying at UCLA, because Professors Fogelquist and M.A. Zeitlin each asked independently if I would like to be a graduate assistant and teach beginning Spanish. The idea was that I would teach two semesters while taking courses toward a teaching credential and a master’s degree. I was surprised and honored, and I accepted. I was now called Mister, and my work uniform was a suit and a tie. 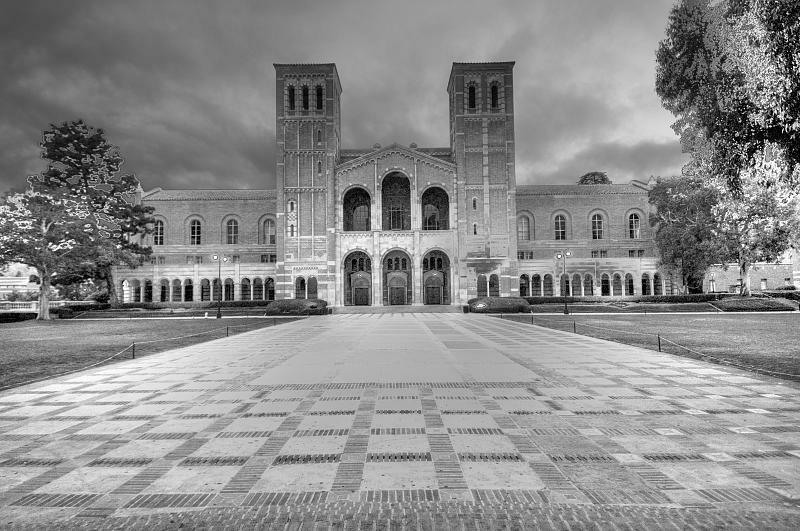 I taught my classes in Royce Hall, the beautiful Romanesque building that is the symbol of the University. The supervising professor visited my class early in the semester, and I was apprehensive about being observed. At the end of the class, as my students filed out of the classroom, one of them, Charlotte Bass, said in a loud voice to no one in particular, “We weren’t very good today, were we?” She was being protective of me. In 1958, having earned my master’s degree and teaching credential, I began teaching full-time, at Huntington Park High School in the L.A. Unified School District. In 1961, to explore another career possibility, I enrolled in Loyola Law School and attended night classes at its downtown L.A campus for four years while teaching my high school classes during the day. I passed the bar examination, but after practicing for a few years I found that I preferred teaching. So I took a competitive examination for a position at the community college level and was hired. Thereafter, I taught Spanish in the daytime and law in the evening. Mr. Rodriguez, I want to thank you for something. I don’t know if you remember telling me one day that I should go to a better university—you mentioned UCLA, Harvard, etc. I was never able to get that comment out of my mind—so after graduation I went to USC and applied. I was accepted and received a full scholarship—and I love it there. I feel I owe it to you—I don’t think I would have tried, because it’s hard to evaluate oneself sometimes as deserving something better. I can’t thank you enough. Sincerely, Nancy Dalton. Throughout my life many people held out helping hands to me. It was only fitting that I follow their example. This essay is part of Thinking L.A., a partnership of UCLA and Zócalo Public Square.